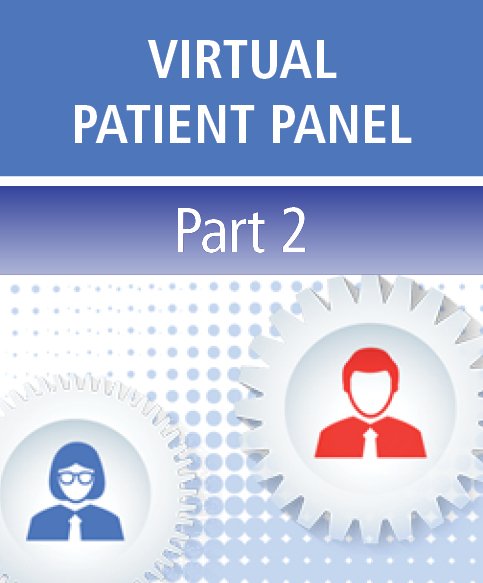 This virtual patient panel provides learners with real-world application of best practices among various members of the healthcare team in the management of patients with hyponatremia. A patient case is provided, followed by discussion among the team members to provide insight and context to why particular courses of action were chosen. This activity has been designed to meet the educational needs of health care professionals involved in the diagnosis, treatment and management of patients with hyponatremia, which commonly occurs as a complication in patients with dysfunction of the heart/liver/kidneys, or in patients in the neurocritical care setting. Recognize risk factors for development of and describe the impact of hyponatremia in hospitalized patients and potential consequences of failure to treat appropriately. Review complications associated with hyponatremia in high-risk patient populations such as neurocritical care and heart failure. Describe the potential value of using copeptin levels as a surrogate marker of AVP activity and identification of risk in patients with heart failure. Discuss different etiologies of hyponatremia and appropriate treatment options for the respective etiology. Implement a plan to monitor hyponatremic patients post-discharge and maintain normonatremia once out of the hospital setting. Grant/Research Support: Otsuka America Pharmaceutical, Inc.
Non-faculty: Steven Scrivner, MPA, CHCP; Sandy Breslow; Alison Kemp; and Bernard M. Abrams, MD, hereby state that neither they nor their spouse/life partner have had any financial relationships to products or devices with any commercial interest related to the content of this activity of any amount during the past 12 months. This CME activity has been peer-reviewed by The American Journal of Medicine. This activity has been supported by an independent educational grant from Otsuka America Pharmaceutical, Inc.
Jointly provided by the Elsevier Office of Continuing Medical Education and Novus Medical Education. This activity has been planned and implemented in accordance with the accreditation requirements and policies of the Accreditation Council for Continuing Medical Education (ACCME) through the joint providership of the Elsevier Office of Continuing Medical Education and Novus Medical Education. The Elsevier Office of Continuing Medical Education is accredited by the ACCME to provide continuing medical education for physicians. Disclosure of Unlabeled Use: This educational activity may contain discussion of published and/or investigational uses of agents that are not indicated by the FDA. The Elsevier Office of Continuing Medical Education, Novus Medical Education, and Otsuka America Pharmaceutical, Inc. do not recommend the use of any agent outside of the labeled indications.